How do you find a property that you are able to build a granny flat on? Here’s exactly what you need to do to find the right investment property if you want to build a granny flat. 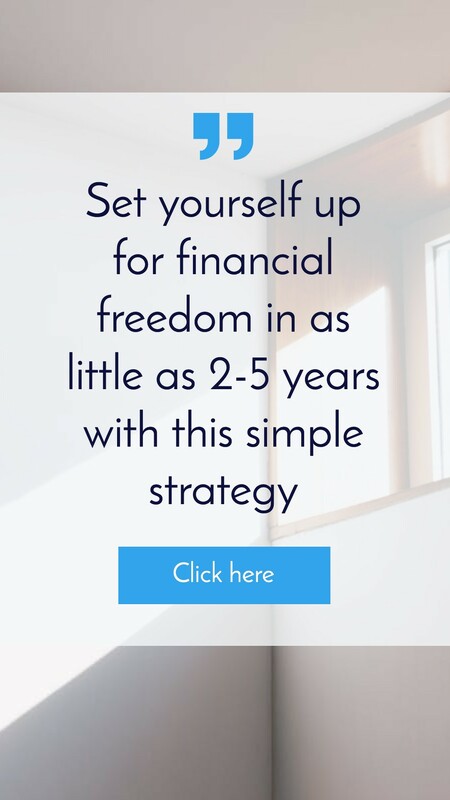 We’ve been talking recently a lot about the two properties to financial freedom strategy where you purchase two properties, go to granny flats, and then allow them to go on to achieve financial freedom for you. What we want to do in today’s video is talking about how to find a property or how to find a site where you can build a granny flat so that you can implement this strategy. 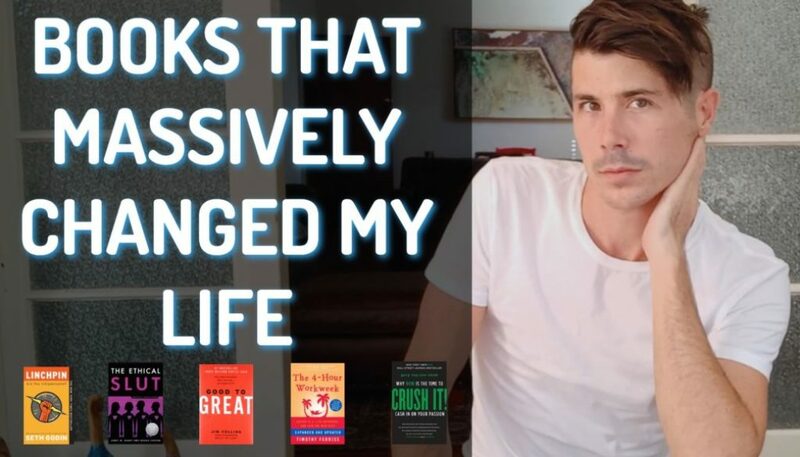 So Hey, I’m Ryan from on property dot that I knew I help people invest in property and achieve financial freedom. 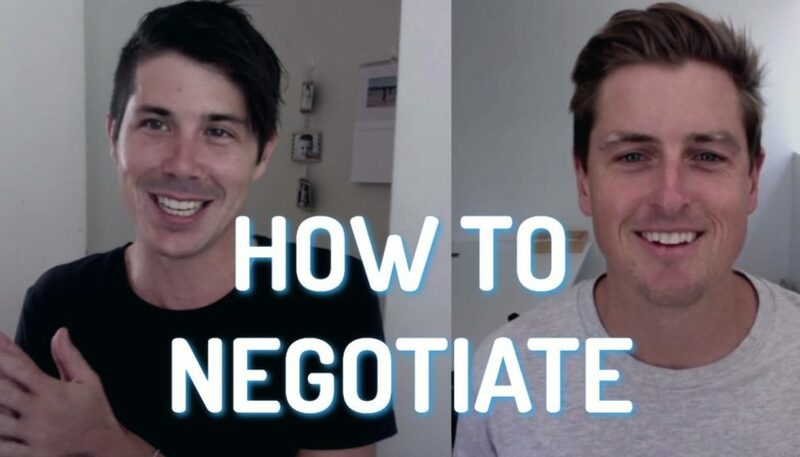 And today I am joined by Ben Everingham from pumped on property. How’s it going today then? Hi Ron. How are you? Yep. Very, very good. Having a great day today. I love than being back at work recording with you. And so what we want to talk about tonight is how to find a specific site so that you can build a granny flat. There’s going to be a lot of people out there who liked this strategy. They wanted to implement it themselves without the help of a buyer’s agent like pumped on property. And so what we want to do is give you guys the details, you need to go out and do this yourself if that’s where you’re at. So Ben, when it comes to finding the right property or finding the right site that you can build a granny flat on, what are some things that we need to look for? Let’s start big, let’s not Australia wide and then we’ll work our way down. and granny flat or whatever it’s called, can that be a separate building as well as within the existing roof line of the house? Yeah. So again, it depends on state and it depends on market or cancel area, everything that state. Um, but I’ve seen them, as you said, the house is at the front completely separate granny flat in the back. I’ve also seen them under the one roof line. I’ve personally built both of those types of options for myself and the marketplace doesn’t seem to mind whether it’s under a roof line or separated. Yeah. And I think so it’s important for people to know as we go through this episode, that when it comes to the strategy and building a granny flat, you can’t just do this anywhere. As ben was saying, as we were recording this, we don’t think that you can do it in Victoria at all basically, or it’s very difficult to do. And so you can’t just buy any property in any council and automatically believed that you can do this. You do need to do your research before purchasing your property if you have this plan in place. And if this is something that you want to go ahead and do, and so Australia wide, you first need to look at whether or not the state allows granny flats and then you got to move down to the council as well because within the site, each council can have different rules, different regulations into what you’re allowed to do and what you’re not allowed to do. So do you want to expand on that then? Yeah. So a really good example of this is the state government in New South Wales basically put a blanket policy statewide that allows April to consider doing granny flats anywhere as long as it complies with the right block size and things like that, which we’ll talk about later on. Um, where in Queensland, for example, just in southeast Queensland, there’s seven local councils and in four of those council areas you can actually legally do this. And in three of them it’s legal to build them just illegal to rent them out to somebody that’s not related to the party was as, as kind of annoying because you want to build this so that you can rent it out. Yeah. Like if you know, if you’re building it and not being able to rent it out, then that’s just because you haven’t done your due diligence. So in terms of doing your due diligence at the state level, jump on Google and have a little bit of a look and then in terms of the local council area within that state or city that you’re looking to build in two things. I look on the local council’s website. Then I called the local town planner and every single council in Australia has town plan is that you can access for free and ask questions about. Now that is guys give great information but very, very broad information that’s not generally cite specific unless you have an exact question you can ask them. So what I also like to do is google a local town planner and just ring them and confirm as well. I’m just said that you, you know, making sure that this is something you can do because if you’re going out and spending $400, I’m expecting to be able to build $110,000 granny flat in the backyard. And then you’d go out and you buy the house and you realize you can’t, it can completely change your investment strategy and where you end up in the future. Yeah. So calling the council to find out information is free. When you say you call a local town planner, is that something that you need to pay for? Um, yeah. So I’ve got a town planner in southeast Queensland that charges I think 300 bucks to do a site investigation report for me and my clients. And so you know, that’s actually when you have found aside that you’re considering you get them to do that piece of due diligence, just lack of flood search or a bushfire search. And that enables you to be in a position where obviously you’ve got a town planner who’s accredited, whose license telling me that you can do it as opposed to you trying to interpret 5,000 pages of the council planning policy, which would not be fun at all. Yeah. And so that’s for existing investors who already owned property. So we’re thinking of building granny flats. That’s the step that they can take as well as they can talk to a town plan. I’ll get them to assess their property as to whether or not they can do it and so yeah, we’ve looked Australia wide, you’ve got to look at the local council area and then it really comes down to finding the right piece of land. So one of the big considerations to begin with would be minimum size, so a lot of councils do have minimum land sizes that you need to meet in order to build a granny flat. That might be 450 square meters. It might be 600 square meters. Again, it depends on the local area, so you need to know these things when you’re going out looking for a property. You need to look at the land size as well and if it’s not. If it’s not enough, there’s not enough land there, then obviously don’t buy that property. Look for another property with bigger land or more, less. What I would do a follow is an interested investor or even a local investor considering this as a strategy, and I was just getting started is I would, you know, talk to your town planner after you’ve identified the market you want to target, talk to the town planners. I’m sorry, not the town planner, the planner at the council and I would just have a checklist of exactly what the site needs to look like. So New South Wales for example, it would need to be 450 square meters. There’s some rules around density within a certain circumference of that property. There’s some rules on top of that in terms of site coverage, which means you know, if their house is a certain size and the granny flats a certain size, it can’t be any more than a title site coverage of 50 or 60 percent for example. So there’s those little intricate things that you’ve got to look at, but you know in terms of it’s a five minute conversation with the town planner from the council and a five minute conversation with the private one. You have your little checklist of things that you are looking for which become your rules for investing and you just completely avoid anything that doesn’t meet those criteria. Yeah, and we’ve talked about, we’ve talked about this in other videos, not specifically related to granny flats, but related to investing in general. You have the criteria of what you want out of an investment and an investment property doesn’t meet that criteria. Then you throw that away. You don’t look at that, you don’t inspect that. You don’t buy that. You then look for properties that meet your criteria and so we’re talking about using the same process here as Ben said, how had to have a checklist of rules and then when you’re looking on real estate.com dot EU, you can see does this fit my checklist and if it doesn’t then you can throw it away. 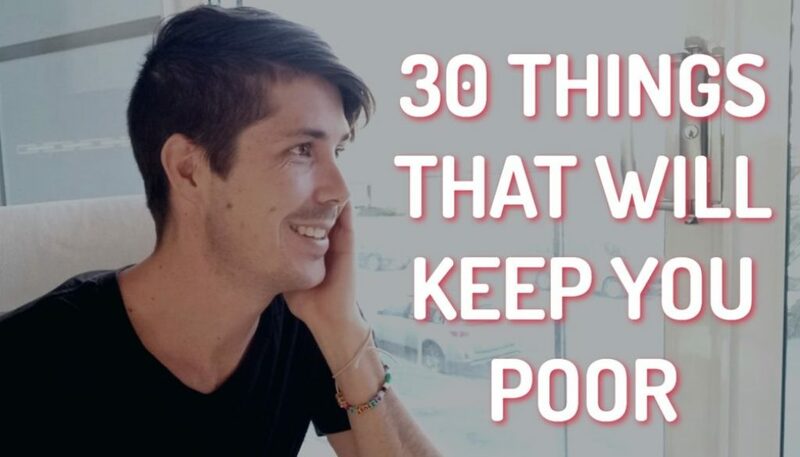 You don’t have to waste your time inspecting that property, etc. You can then move on and look at the next property and then there’s some more specific things that you like to have in properties where you’re building granny flats, don’t you been? Yes. I suppose there’s two tYpes of options for granny flats. There’s buying a completely blank piece of land and building the house and the granny flat at the same time. 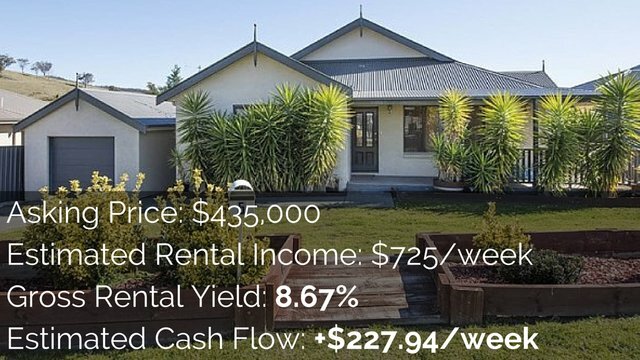 And then the second option, which is, you know, a preferred option for some people and that’s the buying existing house and then to build a separate granny flat in the backyard. So obviously there’s different things for both of those options depending on where people are at, but the checklist, the buying an existing home or an existing site and then building a granny flat in the backyard is pretty simple. Um, again, it depends on council area, so you’ve got to comply with whatever they’re asking for in that area, but generally you want a well located at the front of the bloke. Um, I like to have either pedestrian, which means just putting a pathway down the side for access or if possible, having drivable side access where you can actually put a driveway. The house generally has to be on the front 50 percent of the blog, so there’s more than enough room in the backyard to actually consider doing this. Um, there’s some other checks that I think are important as well, like a flood check, like a bushfire check, like, you know, what they call a dial before you dig, where you actually have a look at what’s underneath the ground. Um, what I like to do during my 30 to 40 days settlement period before I actually need to physically buy the house is I like to get the town planner to do a more thorough check for me once I found a site. And then I also like to send the granny flat builder that I use out to the site and between my research, you know, the town planner and the granny flat builders research, um, you start to get an idea of, you know, what the site’s going to look like, etc. And we will talk in the next video about how to, what the process is to actually go ahead and build that granny flat once you purchased the property. But there’s some good idea for you guys talking about the house position, being near the front of the block so that you’ve got enough space in the back to build a granny flat. Being able to have site access, as ben said, ideally drivable side access is amazing because then whoever lives in the granny flat can obviously drive their car directly down to their property and just get out at their property or otherwise having pedestrian access where the person who lives in the granny flat would have to park out the front and then walked down a pathway to get to the granny flat. So can I share like what my ideal dream site would look like? And then people can use that as their set of rules? Yeah. Well let’s do that because we talked about this council rules and a checklist that if it doesn’t meet those rules, you throw it away because you can’t build the granny flat. It’s not legal. You just can’t do it. Now this is, this is your dream checklist where it’s like, ideally I would like to have all these things, but you can also make compromises on these things depending on the site. So yeah, give us your dream checklist. So if I was able to decide which I am, because we’re all in control of what we buy, I wouldn’t be looking at 600 square meter piece of land or 500 to $600, but ideally 600 square meters. I’d been looking for a nice 15 meter wide frontage. So that is from the lefthand boundary to the righthand boundary. At least 15 meters one I’d be looking for either a nice single or double story home on the front. Fifty percent of the block. Hopefully. Let’s say the site looks like a big rectangle. The house would be on either one side or the other side of the boundary, if you know what I mean. So it’d be closer to the right hand side of closer to the left, meaning there’s drivable access down, one of the sides. And then what I would do once I’d identified the site is after doing my due diligence, is I’d ideally like to put up a big fence around the existing property so that the existing property has a nice front yard and a nice backyard. So you’re not sacrificing the quality of the site for the people renting the house. And then I’d like to put a nice concrete driveway down the side with a nice little single car accommodation, just a I’m a little scared or a little carport type thing. And then build my granny flat in the backyard, which also has enough room for nice little backyard so that you know, it feels like there’s literally two separate houses on it and people might look at something like that and call it more like a battleax block. And if you haven’t seen what a battleax block is, jump on google and just have a look at google images. But effectively it’s just a big rectangle with a driveway down the side and granny flat at the back with your existing house at the front. And in an ideal world, that is what I look for every single time for an existing house. And they’re building a granny flat. Yeah. And that can be great for renters as well because the front house, you creating privacy, would that fencing all around? They’ve got their own private front yard. They’ve got their own private backyard. Same with the people in the granny flat. They’ve got their own private driveway that’s just theirs. They go down the back, they’ve got their own private granny flat with their own private backyard that’s fully fenced in. So the houses aren’t connected. You see a lot of granny flats where it’s really open. You share space walkway spaces or you shared driveways or you share backyards and stuff like that. That can be harder to rent out. Not impossible. Definitely not impossible. There’s still people who are more than happy to live in those, but to be able to separate it, to give that privacy, this is that person’s home. They don’t share it with anyone that they don’t know. Uh, you can obviously rent those a lot easier or for more money. And people love privacy. People like their own spaces, so it’s thinking about it from an owner occupier perspective or a renter’s perspective. Would I personally want to live there? Would I feel comfortable with I feel secure and then creating a product which might mean spending an extra $5,000, $10,000 to do a few of those things, but exponentiallY increasing the rental return and desirability for people to stay there longterm. Yep. And so hopefully we’re gIving you guys an overview so you can now go out there and start to look for these properties if you want to. We can’t give you an exact list and the checklist because as we said, it does vary from state to state and council to council. So there is some research that you need to do before you can go out and do this, but the research isn’t difficult. Quick google for the state, quit google to look at the local council quick call to talk to the local council or to talk to a town planner will get you most of the way there. And then when you’re looking at a specific site, you’ve got ben’s dream checklist of what he would like as well as you can work with a town planner at that point where you would spend the money to make sure can I do what I want to do on this site? So it’s a pretty simple process to find the right property to build a granny flat. You just need to be willing to do this research and do these steps and you’ll also need to be willing to throw away the properties that don’t meet the criteria that you’re after. And for some people That’s kind of the hardest thing. They find a property they really like, you can’t actually do this, but then they go ahead and buy it anyway. So part of being a good investor is being able to throw those properties away and to know that there’s always going to be something else around the corner. And the reason we’re ultimately doing this is a financial return on investment. So having two incomes from properties significantly better than just having one income. One, it reduces your risk, intuit and dramatically increases your cash flow, which means you can get to financial freedom center, so an example of this is, let’s say in sydney, you could build one of these for 100, $15,000 in some parts of sydney, they’re going to rent the three engine, 50 bucks a week in other parts of sydney, they’ll rent for up to 500 bucks a week, and then in brisbane for example, at the moment, again for 115,000 bucks, depending on the local council area, you’re going to get somewhere between 280 bucks a week and $350 a week for these products. 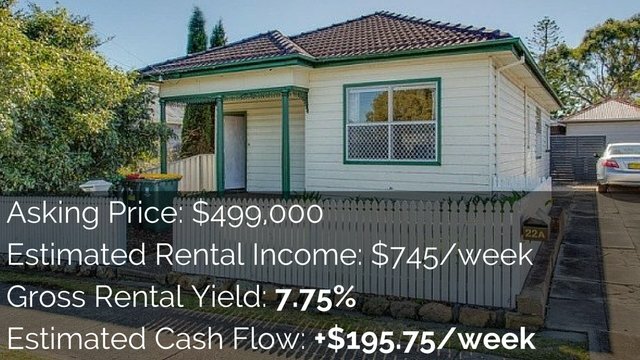 So as a return on your investment from that perspective, even at 300 bucks a week, that’s something like a 14 and a half to 15 percent rental return on that actual money. It’s almost impossible to get those types of returns in anything outside of business right now, so it can be a really, really good way to increase your return on investment. If you’re at that stage as an investor where cash flow is important to you at. One of the things that, um, I forgot to mention is I think it’s very, very important for investors to talk to their solicitors and actually put in a due diligence clause into their contract. So if you can try and slip it in and get, you know, 14 to 21 days due diligence clause in there that gives you breathing time to get your granny flat provider out to the site to talk to the local council, to get your town planner to do their checks and for you to just make sure you feel 100 percent comfortable that before you had to legally take ownership over the block. You’ve done your due diligence And if you have accidentally bought the wrong site, then hopefully your set list so they can use that due diligence close to, you know, safely move you out a bit contract and onto the next property where you legally can do this. out of the terms of my alpha. So regardless of where I’m buying, I try and have a 14 days due diligence clause, 21 days finance clause and at least the 40 days settlement clause in my contract. I will send you a 14 days building and pest clause just because I want to be in control of what I’m buying and there is significant amounts of due diligence that you need to do to make sure that you are buying the right property and you’re not buying a lemon. Yeah. So speak to, uh, elicit other for making an offer on a property. Put those clauses in, talk to them about what you’re trying to do and then they can help you with that. Exactly. Yeah. And so I think that kinda covers it. There’s not really much left to say on this. In the next episode, we will go ahead and talk about the process of building a granny flat so you can get an idea. If you do go ahead and do this and by the right block, then you want to build it. What does that kind of look like? How long does it take? What do you need to do to do that? So go ahead and check out that video if you’re haven’t already. So you can check that out at on on-property dot four slash five slash 49. So if you’ve listened to this, then you want to learn what’s the process go to on property dot commonly for session five, 49. Don’t forget to subscribe to the channel as well. And until next time, stay positive.